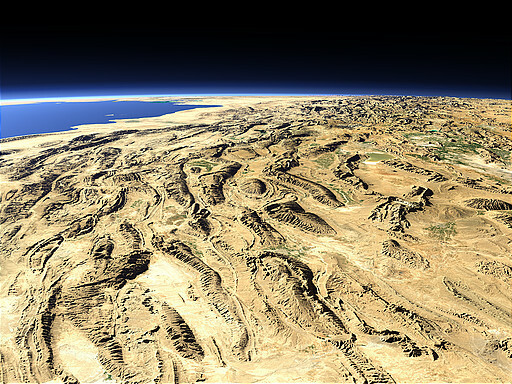 Looking from the southmost parts of the Zagros Mountains towards the northwest this view shows the broad band of the mountains extending several hundred kilometers from the Persian Gulf. 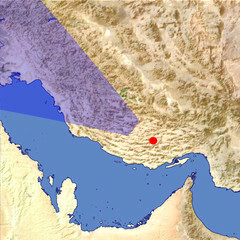 The City of Shiraz and the ancient ruins of Persepolis are located on the right next to the Maharloo Salt Lake. Your views of Iran are glorious. Please show more pictures from Persian gulf and strait of Hormuz.